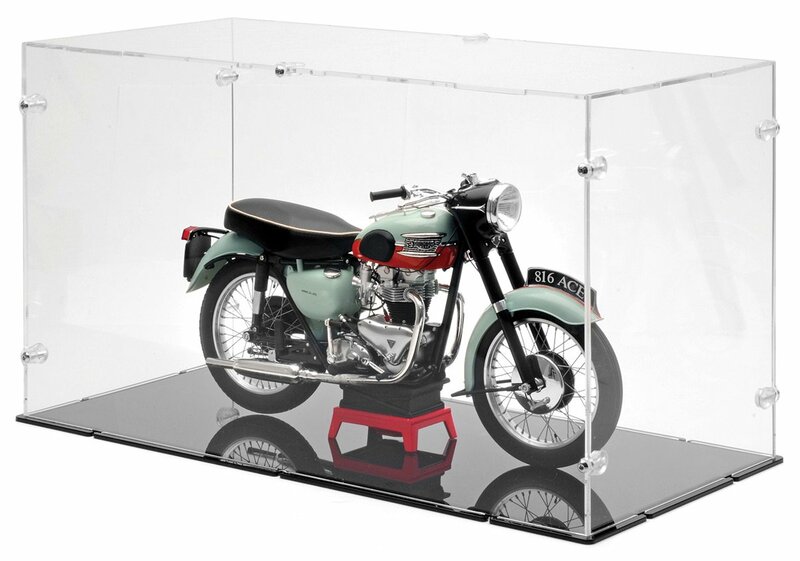 We are delighted to be able to offer a superb perspex 1:6 motorcycle display case to protect and display Vintage Motor Brands’ 1:6 motorbike replicas. It costs just £49.99. It comes flat-packed, and can be assembled extremely easily. Of course, the necessary screws, allen key and assembly instructions are all provided. Once constructed, the display case measures 46cm long x 22cm wide x 25cm high. 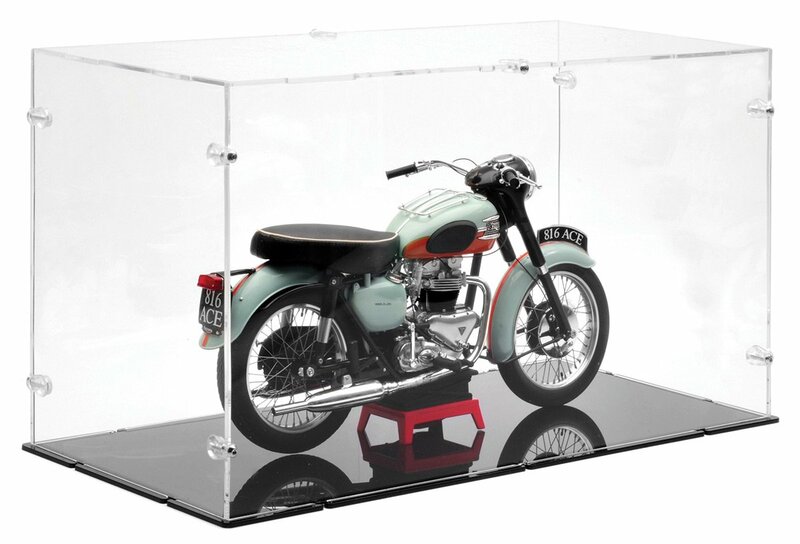 It really is the perfect accessory to showcase your 1:6 motorcycle replicas.